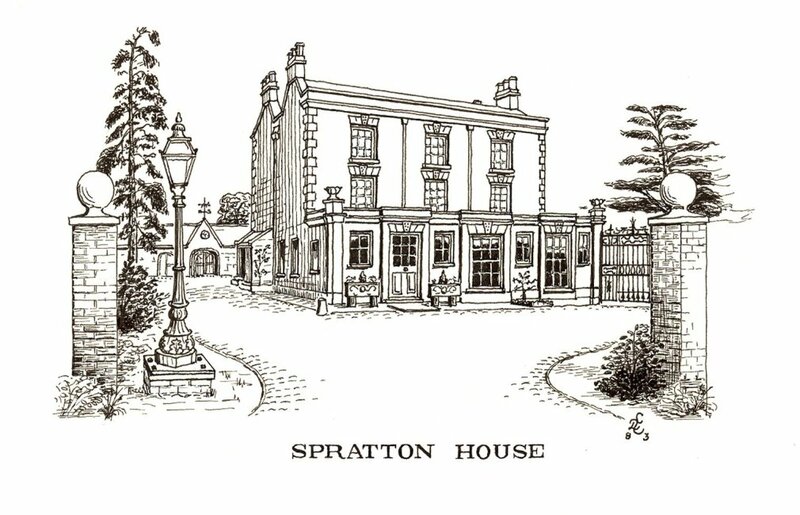 Spratton House dates from 1793 when it was built by William Butlin as a home for his growing family and in a style appropriate to his importance in the local neighbourhood. The Butlin family was highly respected in Spratton and had been so from the end of the 16th century. As considerable landowners in the area, they seemed also to have acted as local financiers and entrepreneurs. Their main business, however, was wool. In the depression of the post-war Napoleonic era of the 1840s, the Butlin family's fortunes thrived despite a downturn in the wool industry. Realising that the best times for wool had passed, they turned their attention elsewhere and William's son, Thomas (born 1792), developed and financed the family's expansion into the iron industry, which was continued and developed by his son, William (born 1824). 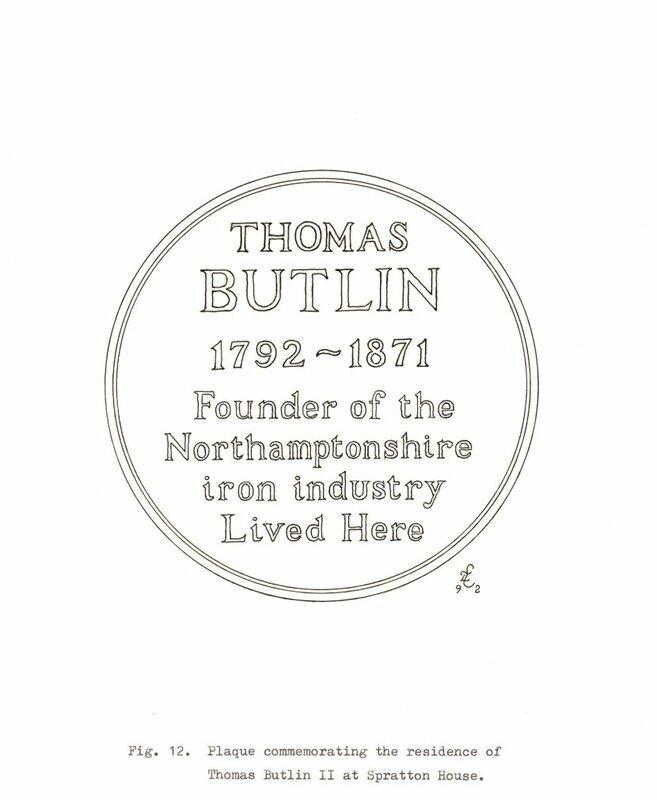 William established the firm of Thomas Butlin Co. opening a Vulcan foundry in Western Avenue, Northampton, around 1845 and a second blast furnace in a new works at Irtlhingborough in 1867. 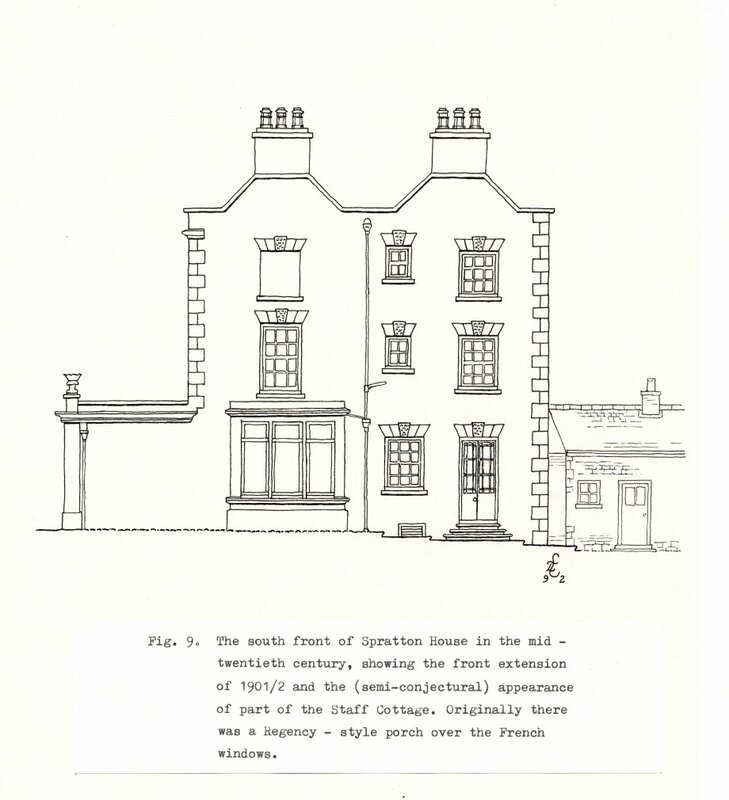 Thomas Butlin and his family lived at Spratton House with two servants and a young groom. Thomas's brother, Edward (born 1793), lived in Holly House next door with his wife and daughter and continued with the family's wool trade interests after Thomas had diversified into iron and engineering. After a serious family disagreement, Thomas blocked up the gateway between the two properties and raised the low brick wall to a height of 12 feet.. Both brothers are buried in the churchyard and their families out up elaborate memorial plaques to them in the church. In 1864 the Rev. 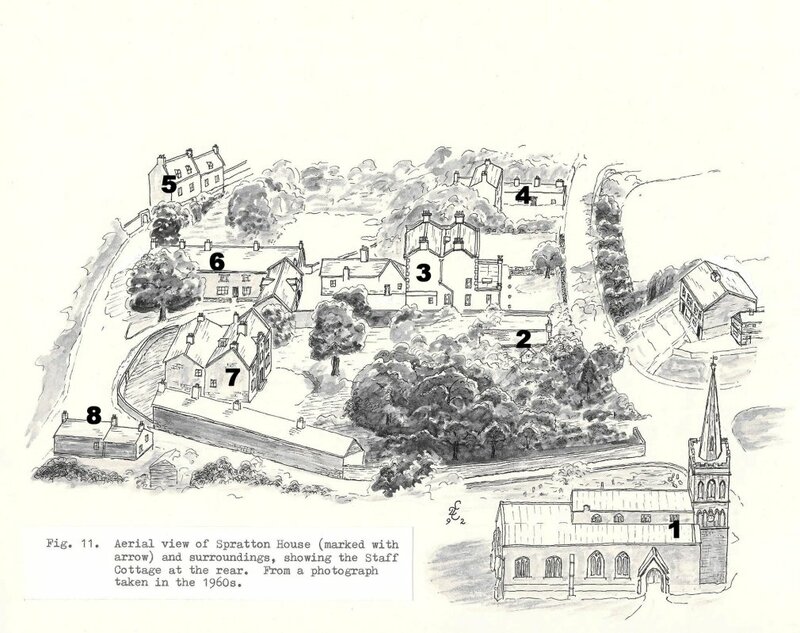 Llewelyn Roberts, who had become vicar of Spratton two years earlier, bought Spratton House. Rev. Roberts had decided that the old vicarage was not suitable for his needs and he moved his wife and three young daughters, Georgina, Edith and Margaret, into Spratton House together with their governess and four servants. Canon Roberts was held in affectionate esteem by the village and a stained glass window was erected in the church in his memory in 1899. Mrs Roberts played an active part in village life and was mainly responsible for reviving the dying lace industry in Spratton. Mrs. Roberts died in 1928 after 65 years in the village and is buried with her husband in the churchyard. Following Canon Roberts death in 1898, Mrs. Roberts and her daughters moved and Spratton House was sold to Mildred and Ulrica Bevan, the daughters of Richard Lee Bevan of Brixworth Hall. People still remember that the sisters expected to be treated with great respect as befitted their social position in the village and would report any schoolchildren who did not curtsey or raise their caps to them. 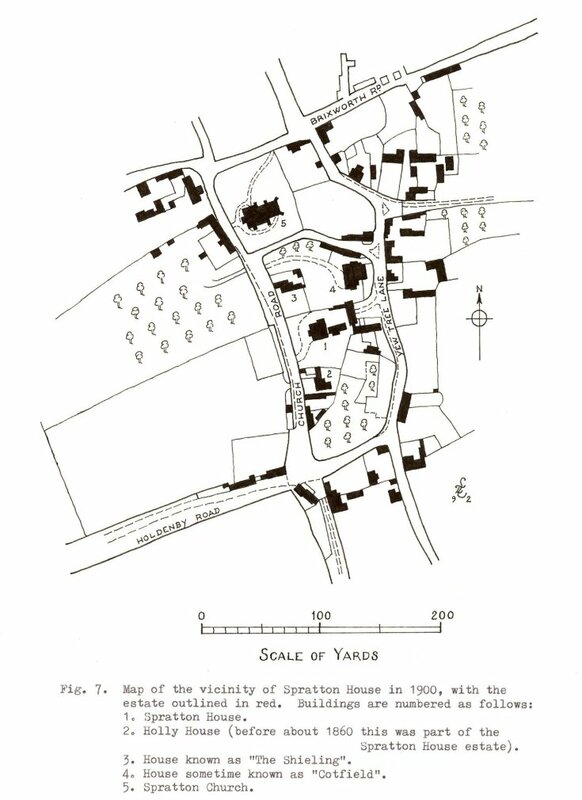 They maintained at least five staff (cook, parlour maid, housemaid and kitchen maid) and four outdoor staff housed in the cottages they owned (now Mulberry Cottage in Yew Tree Lane, but then three separate cottages). In the Second World War, the house was requisitioned in 1940 by the Canadian Light Infantry and later the Medical Corps. The subsequent owners of the house, Sir Rupert and Lady Hardy, who sold off parts of the estate before they moved away, are still remembered in the village. 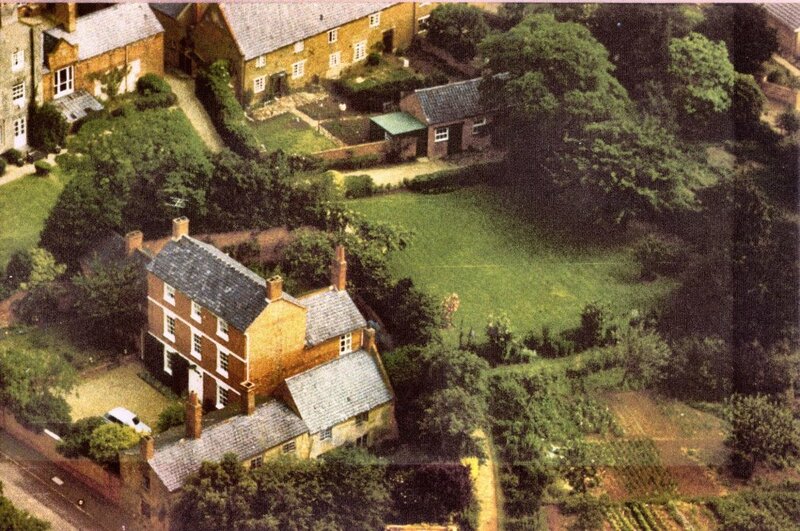 Holly House in the foreground, part of Spratton House back left, and the cottages (once used for the staff of Spratton House) on The Green, Yew Tree Lane (now a single house). Thomas Butlin's brother, Edward (born 1793 & brother of Thomas Butlin of Spratton House) lived in Holly House next door with his wife and daughter and continued with the family's wool trade interests after Thomas had diversified into iron and engineering. After a serious family disagreement, Thomas blocked up the gateway between the two properties and raised the low brick wall to a height of 12 feet.. Both brothers are buried in the churchyard and their families out up elaborate memorial plaques to them in the church. From 1901 or earlier to 1911 or later, the house was in the occupation of Mr R Elsdale (born in New Zealand, and living on own means), but was owned (1910 revaluation) by the Featherston family, who lived at Cotfield. Charles Matts, who bought 317 acres of land (of which 244 acres were in Spratton) from the Langham Estate in 1911, came to live at Holly House (did he lease or buy? Charles Matts does not know) in 1918, leaving it around 1930. (Matts family still farm from Creaton Lodge, previously known as Creaton Grange). Mr Shaw, headmaster of the Primary School, lived at Holly House in the 1930s and 1940s. 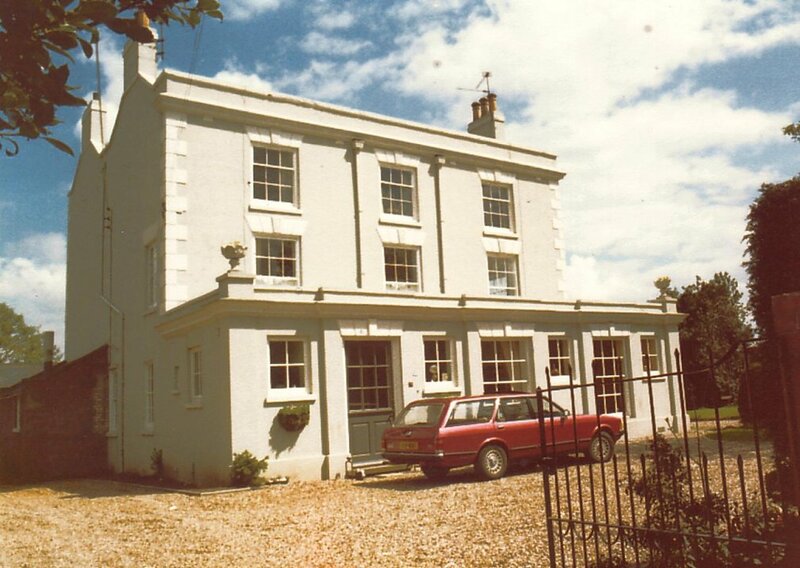 Their son, Derek, married Margaret, daughter of the Copsons, who were living at The Manor in Church Road. 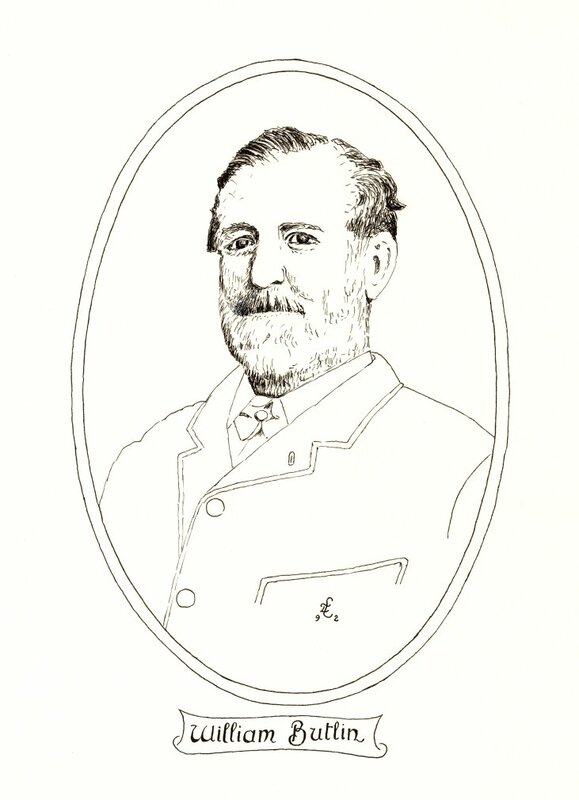 After Mr Shaw, a Mr Geoffrey Hammond, who was living here at the time of this photograph. The two cottages in the foreground of Holly House were, it seems, still in independent occupation at this time - by two spinsters, one called Miss Newcombe who was always dressed in black, the other by Miss Jones.